Rather than using cheese as an enchilada filling, this recipe uses refried beans. 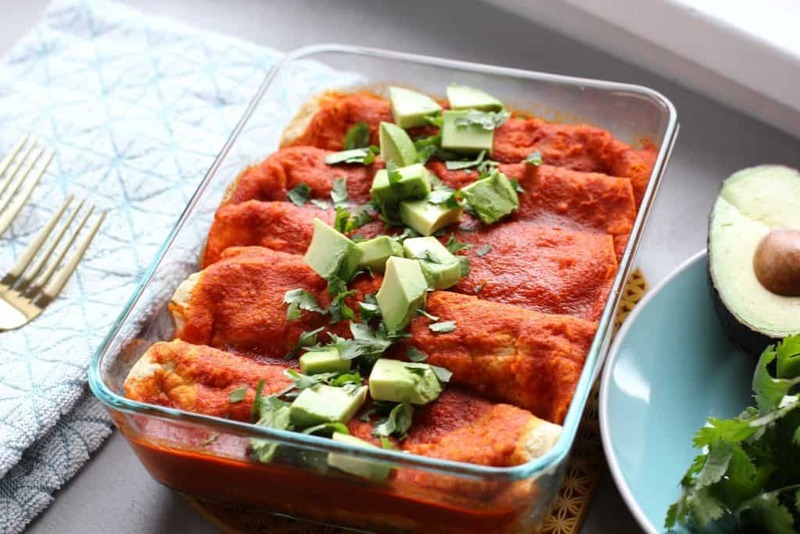 This gives the enchiladas a creamy texture with less saturated fat and more fiber. When you’re buying the beans, look for vegetarian refried beans, as traditional refried beans contain animal fat. This recipe calls for enchilada sauce and taco seasoning, two recipes that are also in the cookbook. If you don’t have the cookbook recipes, you can use a store bought kind. Be sure to keep an eye on things like sodium, though. Store bought sauces can go a little crazy if you’re not careful! Combine the black beans with the cumin, garlic, and oregano. Roll them and place them in an 8×8 baking dish, seam side down. Keep lining them up until you reach the edge of the pan. To make the assembly of these enchiladas a little easier, wrap the corn tortillas in a damp paper towel and microwave for 30 seconds. This will lightly steam them so you can roll them without them cracking. 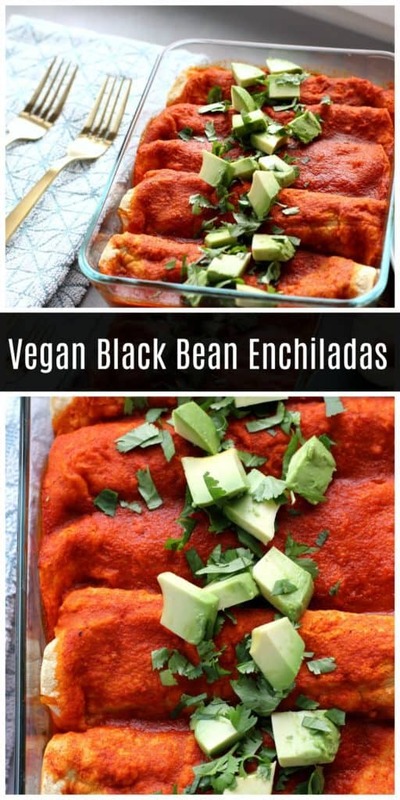 I love that these black bean enchiladas are vegan and gluten free but it’s not the kind of recipe that makes people go “oh, this is vegan, right?” You could slip it into your weeknight meal rotation without anyone questioning why there’s no meat or cheese. 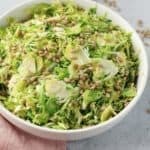 It’s full of flavor and it’s got plenty of protein and fiber to keep you satisfied. 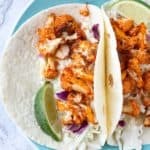 To make this recipe kid friendly, be sure your taco seasoning and enchilada sauce don’t have too much chili powder in them. 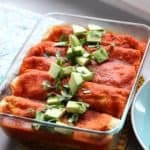 These enchiladas aren’t overly spicy, but depending on the kind of sauce you use, they could have a little kick. 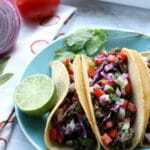 If you’re looking for something to serve with these enchiladas, try this black bean and corn salad! You can even prep it ahead of time and add the avocado just before serving. 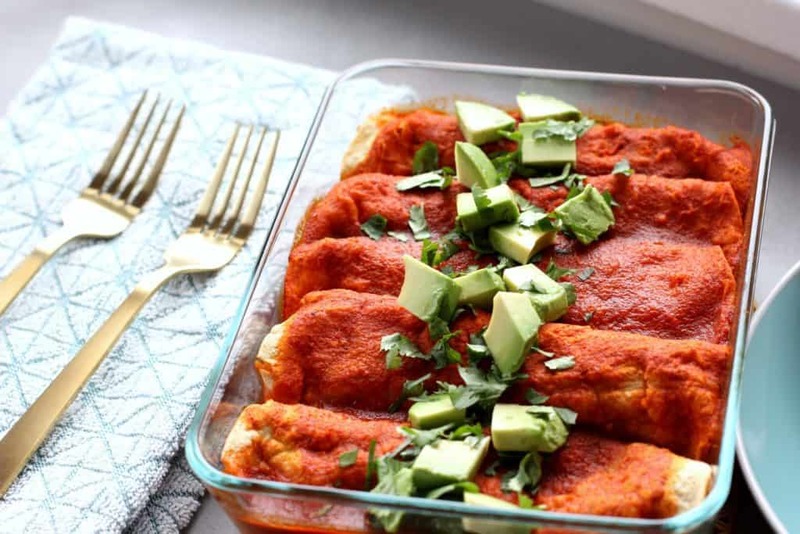 It’s delicious with these enchiladas or your favorite tacos! What’s your favorite dish: enchiladas, tacos, or burritos? These sound delicious! 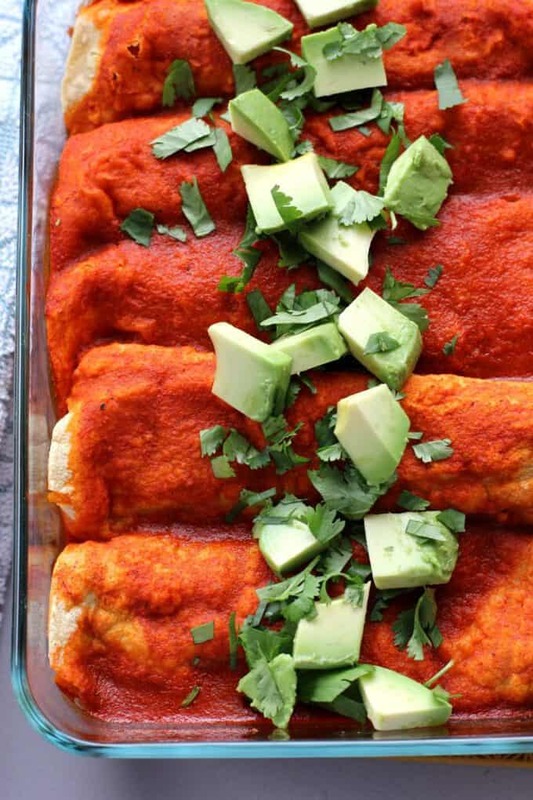 I love beans, and the idea for black bean enchiladas is awesome. Def something I’m going to have to make! Wow, this looks so good! 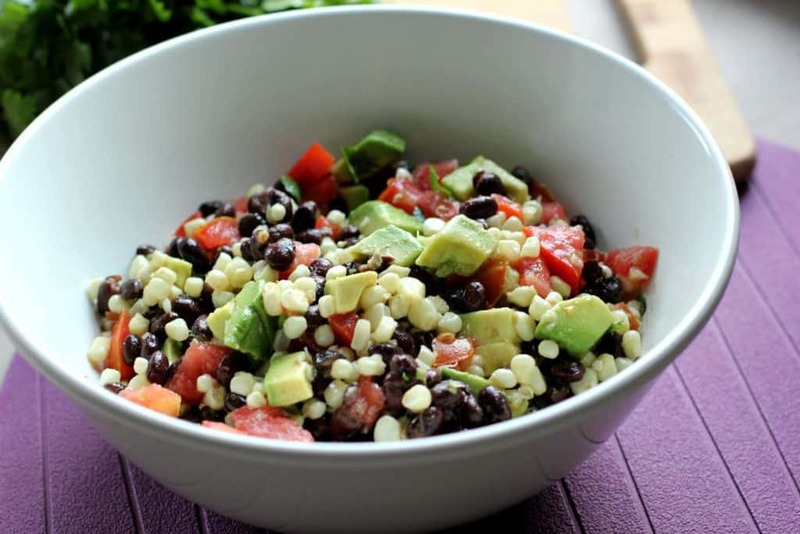 I’ve gotta try that black bean and corn salad too! I don’t know why I never think to make enchiladas! They are so good! 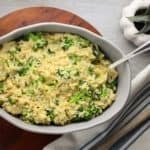 Perfect dinner to up my family’s fiber intake – we definitely don’t get enough! I’ve never thought about combining both black beans and refried beans. Great idea! Good and easy but we thought it was missing a kick. Maybe we will try green enchilada sauce. Everyone still liked it though. Thanks!